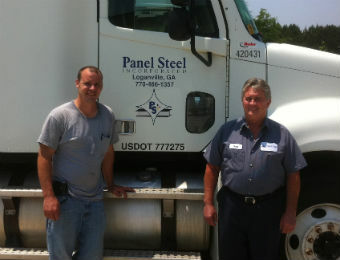 About Panel Steel Inc., Steel Wall Panels and Structural Steel Components | Panel Steel, Inc.
Panel Steel Inc. is a family-owned and operated steel fabrication firm located 30 miles east of Atlanta. 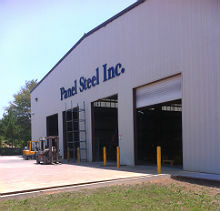 Our main headquarters is at 3129 Old Broadnax Mill Road in Loganville, GA. The new facility was constructed in early 2006 on 3.75 acres and includes a 30,000 SF state-of-the-art production facility along with an 4,200 SF two-story office building. 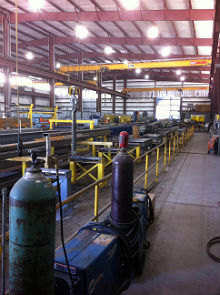 In January 2009, Panel Steel expanded with a 5,000 SF addition to the production facility. Office hours: Mon – Fri, 8:00 a.m. to 5:00 p.m. Delivery hours: Mon – Fri, 7:00 a.m. to 3:30 p.m.